Short Cow Hair Brush for Kindergarten. It is often very hard for children to keep a long handle properly balanced in their small hands. 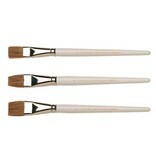 With this in mind, we have included a special, short-handled brush in our range. 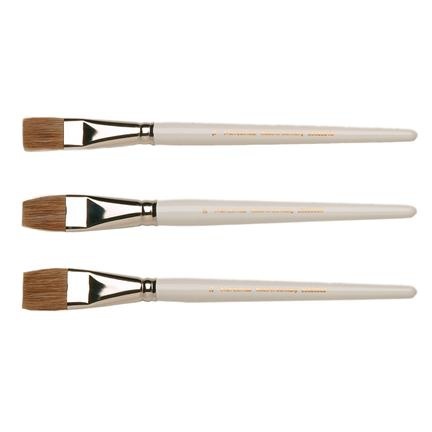 The brush has soft bristles made of cow hair and a rust proof, closed ferrule. No. 20. Width: 20 mm, length: 22 cm (width: 0.79 inch, length: 8.66 inch).